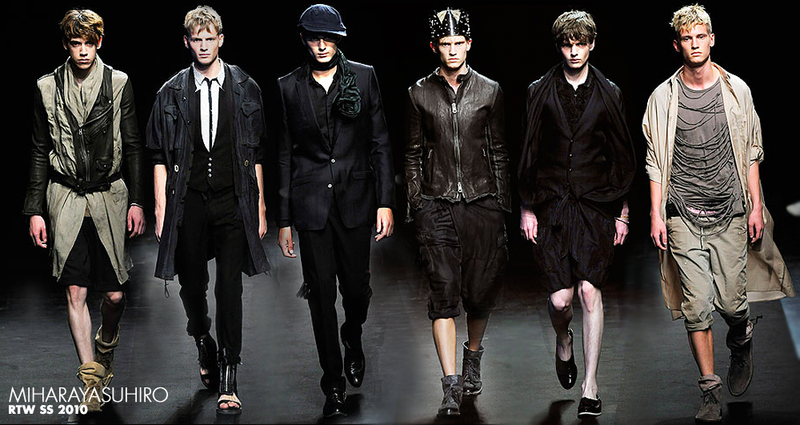 With the fashion weeks approaching, I wanted to quickly share a couple more collections from menswear Spring-Summer 2010 that I enjoyed. Surely we’ll all be busy pouring over womenswear next week. Though not all will admit, there are always those designers that can do no wrong in our eyes… ever. 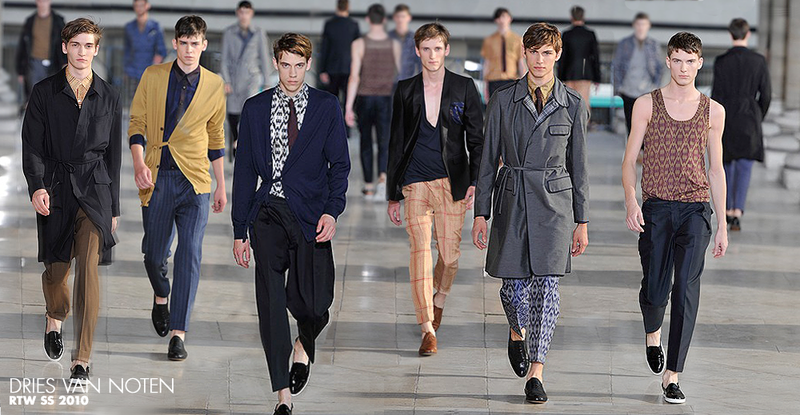 Dries and Mihara, for me, are permanent members of that category. The return of prints! 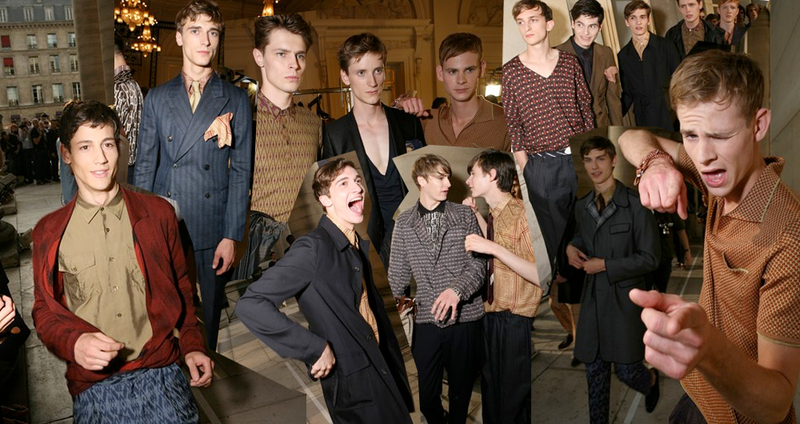 With it’s mix of bold patterns and colors, one could say that this collection was the long-lost brother of his womenswear for Fall/Winter 2009 and a more flamboyant—if not a tad bit more casual—menswear variant of the previous Spring/Summer. The chicly pinned cardigans remind me so much of our graphic design department chair if she were a man and wore more color… me in thirty years basically. Excellent model casting for both as well! Sidenote: These informal runway blends are becoming an obsession! They’re so ridiculous. Mihara aims for innovation, like his pieces, very avant grade. His earliest collab was the Puma shoes – expensive! Thanks for the comment I am not sure who the boy is, I just know he’s cute and was photographed by one of my favorite photographers.